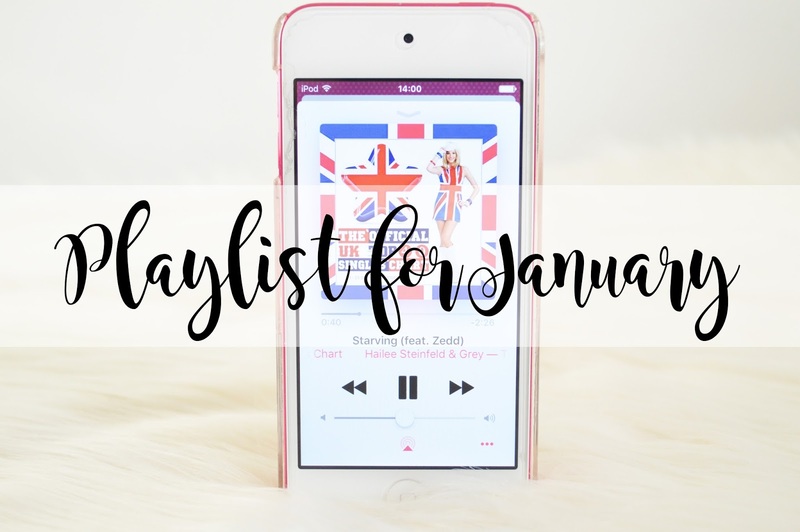 Once again it is time to share my favourite post with you all and it's my playlist for the Month! I'm currently really enjoying listening to all of the music which is in the charts as there is so many great singles which are being released right now! Hailee Steinfeld is definitely up there as one of my favourite artists right now, her new song Starving is absolutely incredible and I highly suggest checking it out if you haven't heard it already! I'm quite sad writing this post because it means Christmas is finally over and we're now into the New Year, I guess we've got to wait another eleven months to be able to listen to Christmas Songs again and for it to feel okay to do so! But for now, we've got some incredible songs by some incredible artists. Can I just say how fab Olly Murs' new album is too, I love it!